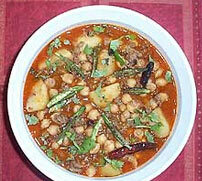 Spicy curry which can be used with Meat Balls with Stuffed Eggs (called Nargisi Kofta) or for just simple Meat balls. Delicious snack as starter for any occasion. 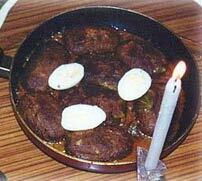 Minced Mutton with chick-peas. 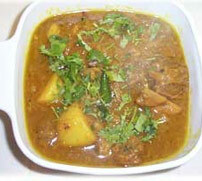 This preparation is very famous in Bengal, a good accompany with Radhaballobhi or Luchi. 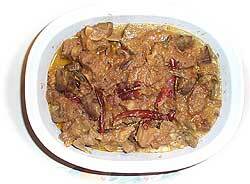 A quick and easy to cook mutton preparation. Very tasty with very less spices. 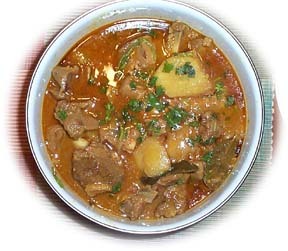 You will be surprised that mutton can be cooked with so less spices. Try it today!! 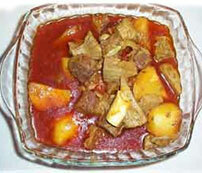 Mutton cooked with unripened jackfruit (echor) and potato. Its is a full meal, and this recipe turns out very tasty. 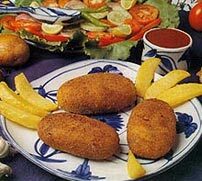 Famous Bengali delicacy. Use canned Jackfruit if fresh not available. Must try it out.